An alternate experience to getting lost on YouTube. YouTube is monstrously huge, comparable in popularity to Google and Facebook. Often referred to as the Wild West for video content, I’d say it’s more like an uncharted galaxy, expanding ever-outward as new material comes in. 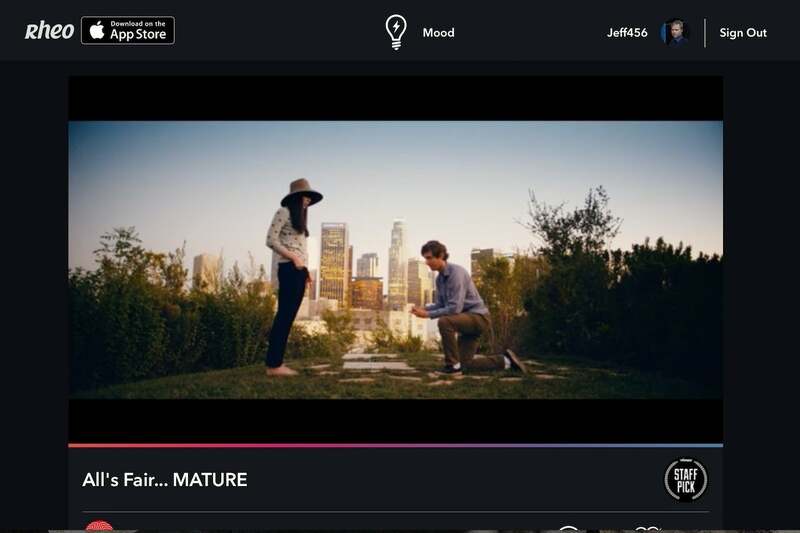 The developers behind Rheo, led by Apple and Facebook veteran Alan Cannistraro, offer a different take on video discovery. Where YouTube can overwhelm you with choices, making it difficult to decide what’s worth watching, Rheo presents videos that fit the mood you’re in. It began in 2016 on AppleTV and is now available as an iOS and web app. Once you’ve created an account and logged in, Rheo loads up its main video feed, which is called “Rheo One.” You can passively watch this feed, or you can choose a different one based on the mood you’re in. Rheo counts seven moods: Laugh, Inform, Learn, Taste, Chill, Move, and Spark. 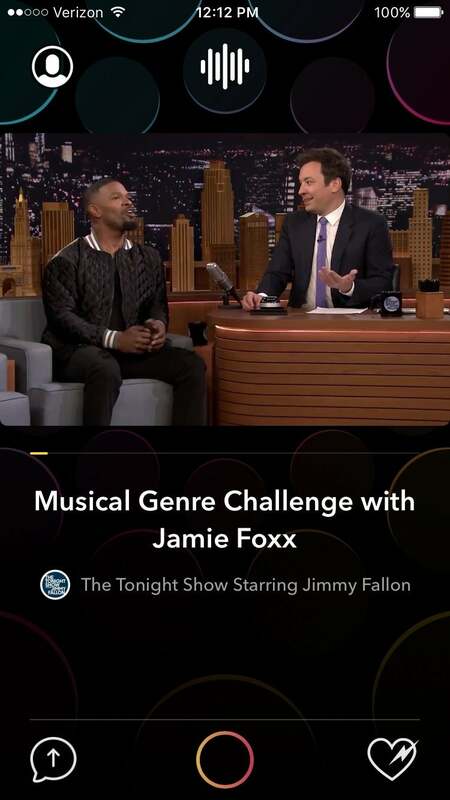 Videos load automatically, and users can watch or skip each one. If you especially like a video, you can click “boost” (a heart icon), and push it up higher in the rotation for others to see. Boosted videos are also bookmarked, so you can easily find and watch them again. You can also share videos to Facebook or Twitter, or text videos to friends. Use the icons at the top of the app to find videos that match your current mood. You can also use your smartphone’s camera and microphone to record video responses and comments. Again, users collect their recorded responses into a “reel” that can be shared. You can search through other users and “follow” them, and they have the option to follow you back. The first of the “mood” channels, Laugh (indicated by a laughing face icon), is, of course, comedy, and seems to lean toward current clips from late-night talk shows. Digging deeper, however, brings up various other shorts. After much skipping, I found some animated shorts and skits, including an Amy Schumer short from Comedy Central called “Time Travel.” The second channel, Inform (a radio tower), consists mainly of footage from news broadcasts (Reuters is a main source). The fourth channel, Taste (a martini glass), popped up with a Vogue interview with Olivia Munn (“73 Questions”), which crashed, and moved on to a behind-the-scenes of a photo shoot at Vanity Fair. It sounded like this was going to be more of a food and drink channel, but it started heavy on fashion/lifestyle stuff. After skipping ahead a while, I did find the first foodie-friendly shorts, one about mooncake and another focused on the 90-something queen of Creole cooking. That one included some drool-inducing shots of gumbo and jambalaya. Spark (a lightbulb), the fifth option, fit best with my personal tastes: short films. There was a preview for a beautiful-looking upcoming animated film; a touching 12-minute comedy-drama called All’s Fair, starring Thomas Middleditch; the weird, semi-controversial—but hilarious—short Baby Trashes Bar in Las Palmas; the pilot episode of Jenny Slate’s unsettling web series Catherine; and a short documentary on homosexuality in Mexico. As I was skipping through, one short film crashed and didn’t work, but the majority did. This is the channel on which I felt like I could have spent the most time. The 12-minute comedy-drama, All’s Fair, starring Thomas Middleditch, was one of my favorite finds on Rheo. The sixth and seventh channels proved less interesting to me, but will certainly be interesting to others. Move (a winged shoe) offers what looks to be mostly skateboarding, surfing, skiing, and biking videos. And Chill (a record) offers a series of music videos, mostly low-key, electronic pop, and not much of it particularly “chill” to my ears. After much skipping, I finally found a beautiful little animated short called Light that seemed to be more meditative. The video interface is smooth and intuitive, allowing the option to fullscreen or pause, though scrubbing back and forth is a little tricky; doing so tends to skip to the next video. Once a video gets hung up, there seems to be no way to get it to play again. Like any social service, Rheo benefits from repeated and regular use. The service learns your tastes and will presents videos it thinks you’ll like in a personal feed. There’s also a setting that blocks or allows mature content (defaulting to the “on” position). And, of course, users can grow lists of friends and fellow users and watch each other’s comments. I declined to record my own video comments, but the ones I saw seemed to be troll-free, and for the most part contained kind remarks. 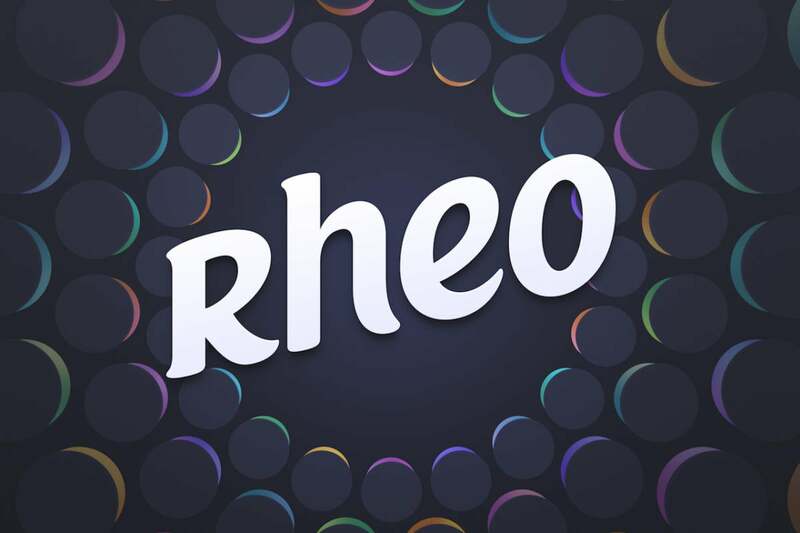 You’ll want to use the Rheo smartphone/tablet app to get the full experience. The web app doesn’t have nearly as many of the social features. Finally, the web version of Rheo is notably different from the app, and doesn’t offer any of the social services. Viewers can watch, “boost,” and share videos, but they can’t access their previously boosted videos, nor can they access any other users, or record comments. My first time through Rheo, I found myself skipping more than watching, but I did find some worthwhile videos, and several that at least held my attention. And now that I’ve tried all the subchannels, I know which ones will be my regular destinations (“Laugh” and “Spark”), and perhaps if the app learns that I want food and drink videos rather than fashion, “Taste” will become a favorite as well. If Rheo catches on, with more users, more boosted videos, and more sources, it could become a finely tuned video-watching machine. 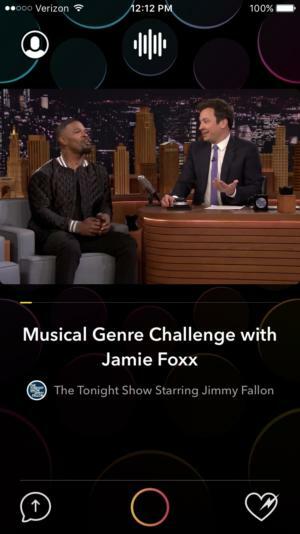 This free Apple TV and iOS app surfaces internet videos based on your mood, and lets you record comments and share your finds with friends.